O2 measurements are essential to the control of industrial chemical and combustion processes, the efficiency of which depends the level of pollution emitted. 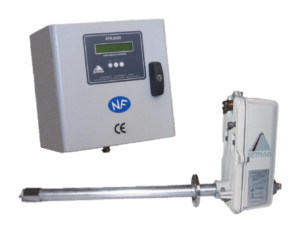 Additionally Environmental standards include O2 compensation of effluent measurement as part of the atmospheric emissions reporting requirements increasing considerably the need for reliable, accurate, and adaptive continuous O2 monitoring solutions. 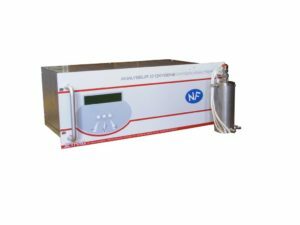 SETNAG O2 analysers uses the patented MicroPoas technology allowing extremely accurate O2 measurement in a large variety of media and conditions without the need for reference air. Maximum gas temperature: up to 1300° C continuously, depending on the version “Removable” probe tubes: easy to dismantle and replace for simple and cost-effective maintenance. No sensitive parts and no hot spot inside the duct Limited maintenance and service operations: easy probe tube cleaning with compressed air and/or fast dismantling. The MicroPoas® zirconia sensor with built-in metal reference is miniaturized, ultra accurate, autonomous and requires no reference gas. 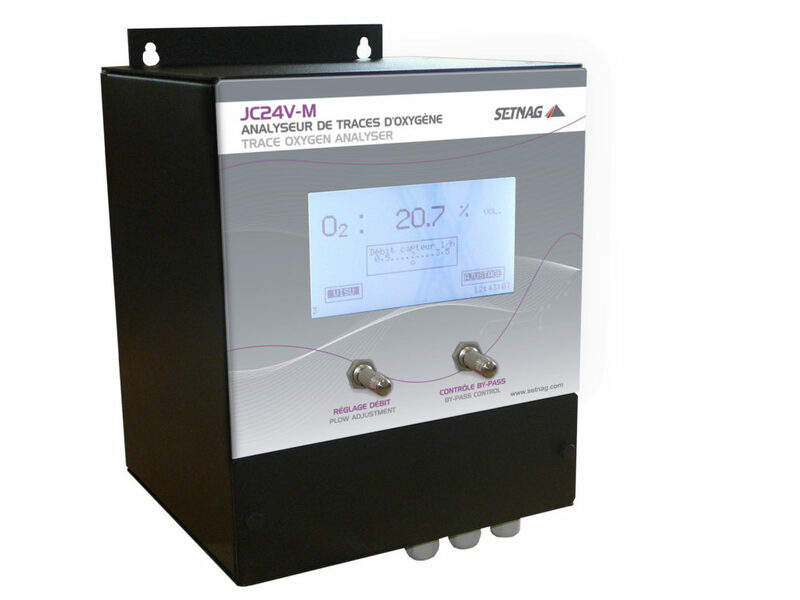 It corresponds perfectly to SETNAG’s approach to innovation, meeting the strict criteria for oxygen gas measurement, and improving industrial and scientific use of combustion and incineration control, process control, etc.Thanks to the integral MicroPoas®, SETNAG oxygen analysers deliver excellent accuracy and unequalled linearity. MicroPoas® has excellent resistance to thermal shocks, extreme pressure values, and consumes very little electrical power. Its sturdiness guarantees minimization and control of maintenance costs. The MicroPoas® sensor (or zirconia sensor) enables SETNAG to propose oxygen analysers covering a wide range of industrial and scientific applications. MicroPoas® is a zirconia sensor with a built-in metal reference. The reference is made of a mixture of a metal and its oxide, placed inside a zirconia sleeve. There is no need to use a reference gas. The MicroPoas® zirconia sensor with built-in metal reference is miniaturized, ultra accurate, autonomous and requires no reference gas. It corresponds perfectly to SETNAG’s approach to innovation, meeting the strict criteria for oxygen gas measurement, and improving industrial and scientific use of combustion and incineration control, process control, etc.Thanks to the MicroPoas® inside, SETNAG oxygen analysers deliver excellent accuracy and unequalled linearity. MicroPoas® has excellent resistance to thermal shocks, extreme pressure values, and consumes very little electrical power.Its sturdiness guarantees minimization and control of maintenance costs. The MicroPoas® sensor (or zirconia sensor) enables SETNAG to propose oxygen analysers covering a wide range of industrial and scientific applications. SETNAG is ISO9001 accredited and two of its products are NF IE compliant (Instrumentation for the Environment). This standard guarantees appropriate performances and rigorous control for installations that need to be in conformity with the restrictions on discharge of pollutants into the atmosphere. Response time T90 < 35 s.
The gas freely flows in the analyser (it can also be forced) and passes over the MicroPoas®. Thanks to the built-in metal reference of our zirconia sensor; measurement is in no way influenced by the environment. Therefore, reliability and reproducibility are improved. 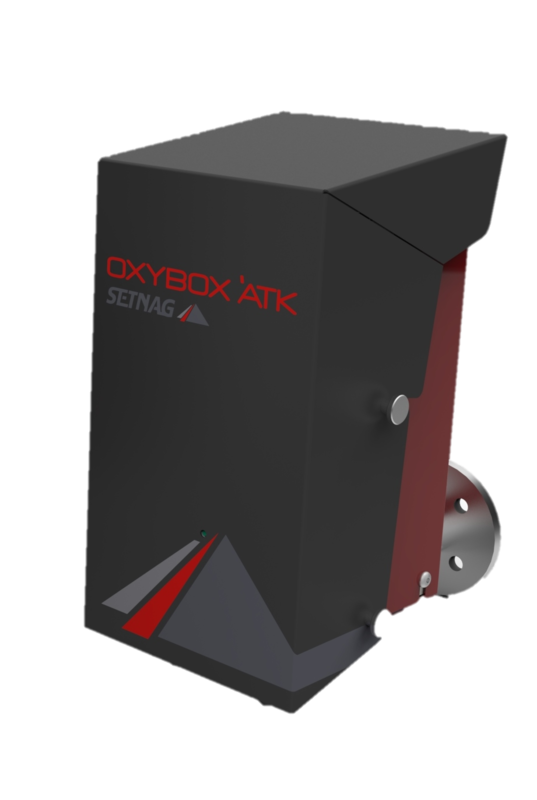 The OXYBOX’ATK oxygen analyser is dedicated to oxygen measurement on natural gas fuelled boilers. 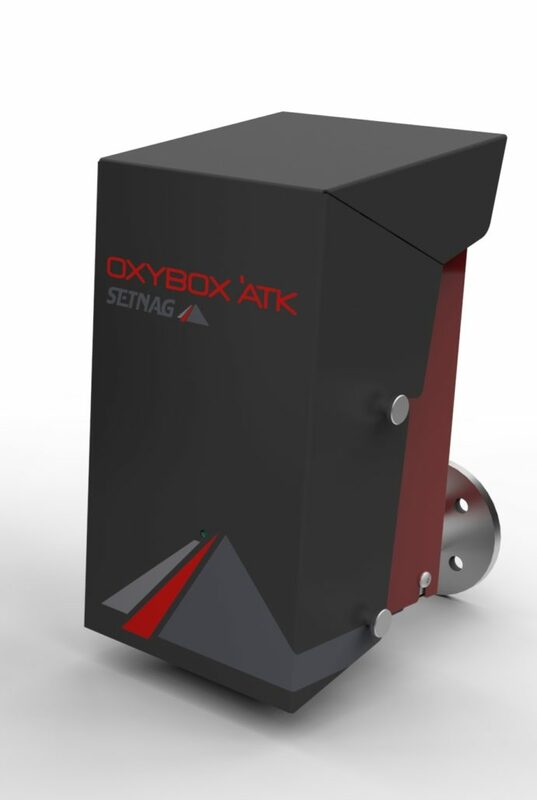 The OXYBOX’ATK has been adapted from the ATK/F-2020, a SETNAG analyser which has been produced and proven for over 20 years. The OXYBOX’ATK uses the MicroPoas® technology to offer the most reliable measurement and mastering installation and operation costs. No reference gas required. Measurement of oxygen in combustion gases and in incineration gases. SETNAG engineered the ATK insitu analyser series to fulfil the requirements of post-combustion (ATK/EC-2020) and combustion (ATK/F-2020) oxygen measurement, with minimum downtime and low maintenance. The ATK are designed to be installed at the heart of industrial settings providing operators with fast, reliable and detailed analysis of the combustion process and gas composition along the exhaust line. The S24N-2020 is perfectly suited to extractive CEMS applications and can be operated either in wet gas (heated line required) or in dry gas. The oxygen pump set uses the principle of ionic conduction of zirconia. When a continuous voltage is applied across the zirconia tube terminals an oxygen flow is created. The quantity of oxygen in the gas circulating inside the zirconia tube will increase, or decrease, according to how the voltage is applied. The partial pressure is measured by the MicroPoas™. In coal and gas fired power stations, cement kiln, foundry, paper mills… Stringent regulatory requirements for emission monitoring and reporting. The SETNAG Oxygen Analysers enables efficient and flawlessly compliance for a large range of contaminants. SETNAG’s oxygen analysers and other flagship products find applications in numerous fields such as industrial processes. The products are well recognized for their high technology, their efficiency, rigor and long life span. ISO 9001 certified since January 2000, SETNAG designs and manufactures oxygen analyzersfor monitoring combustion processes. 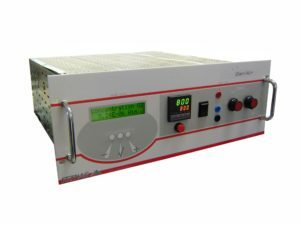 SETNAG’s oxygen analysers and other flagship products find applications in numerous fields such as energy and incineration. The products are well recognized for their high technology, efficiency, accuracy and long life span. The oxygen pump set uses the principle of ionic conduction of zirconia. When a continuous voltage is applied across the zirconia tube terminals an oxygen flow is created. The quantity of oxygen in the gas circulating inside the zirconia tube will increase, or decrease, according to how the voltage is applied. The partial pressure is measured by the MicroPoas™.